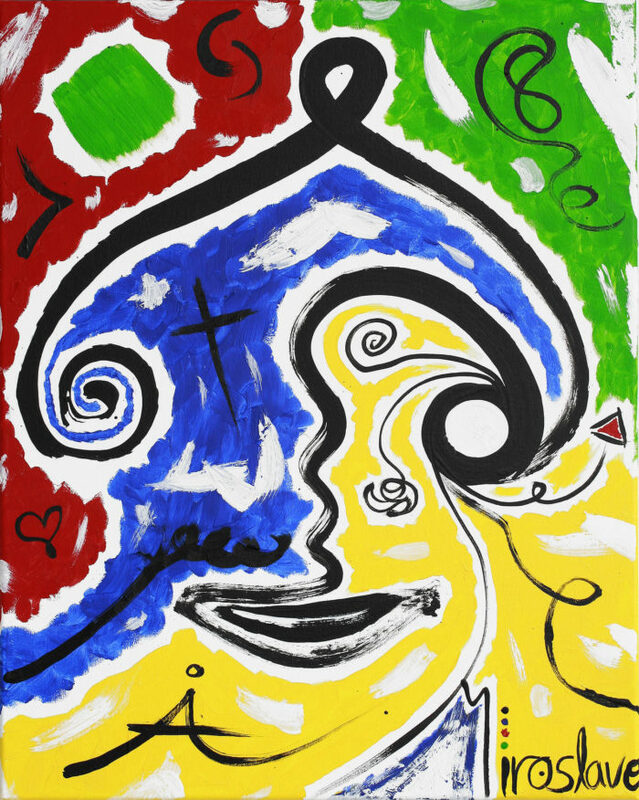 Named after the spiritual creature, the Genie, this painting combines my signature symbols—a triangle, rectangle, and circle as well as spontaneous whimsies and shapes—and primary colours applied in thick and bold manner, to create an expressive, dramatic and vibrant visual that is meant to mimic a genie being out of the bottle. Accompanied by thick black brushstrokes forming an abstract face; spontaneous white smudges; and white circular core inside the symbolic “genie’s bottle” resembling an eye, the artwork provides us with a yin and yang feel, while acknowledging the fact that the world is not just black and white, and that life and people are not perfect. My conclusion for this piece is that we should stand proudly with our mistakes as it is them that help us grow and it is the present that makes us enjoy the journey.